Record your daily life by photo and write memo on it. 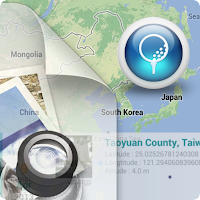 Identify and keep the geographical location when you took photo.Review your historical memo by date.View memo on map.Measure distance between current GPS location and the point you click on the map. Share memo(photo) with friends via E-mail, Facebook, SMS and so on.